As in many industrialized nations, Japan’s population is heavily concentrated in its urban areas, with over 90% of its citizens living in crowded cities. As a result, land plots tend to have small, narrow footprints meant to create living space for as many households as possible. 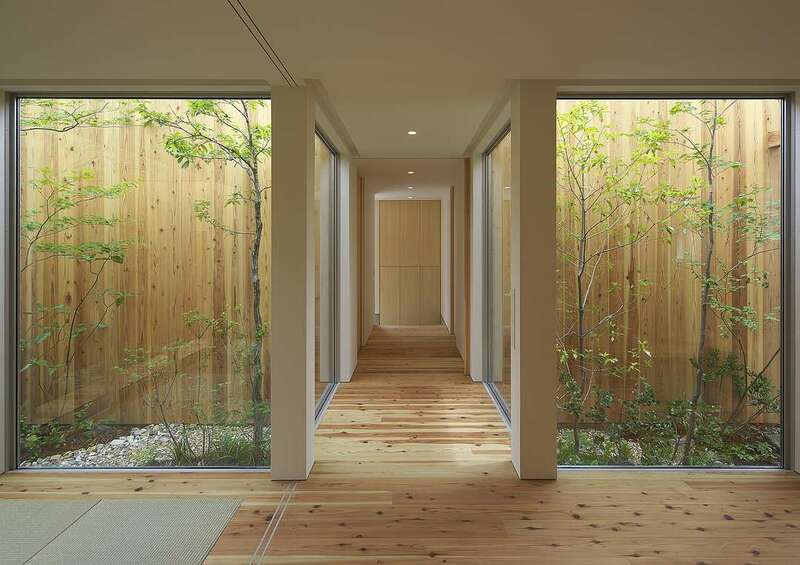 In response to limited building parameters, architects have designed innovative solutions to maximize both privacy and natural light in Japanese homes. 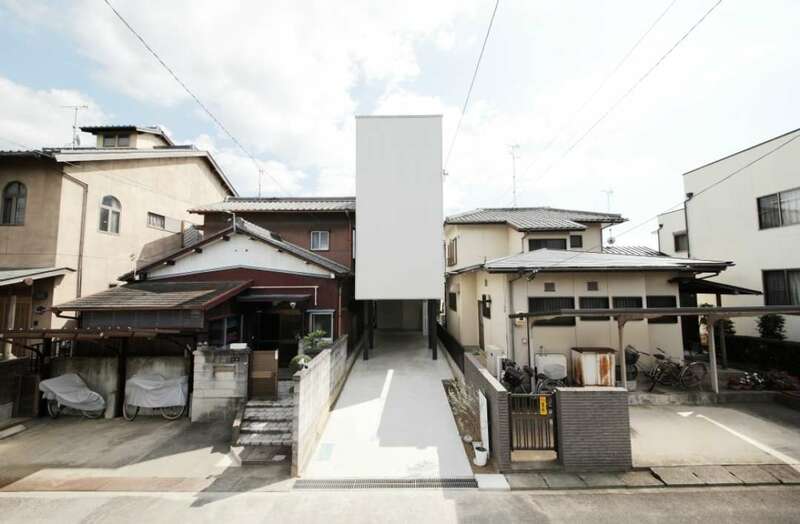 Following our earlier post exploring transparency in Japanese homes, we’re taking a look at the extreme opposite in Japanese residential design. 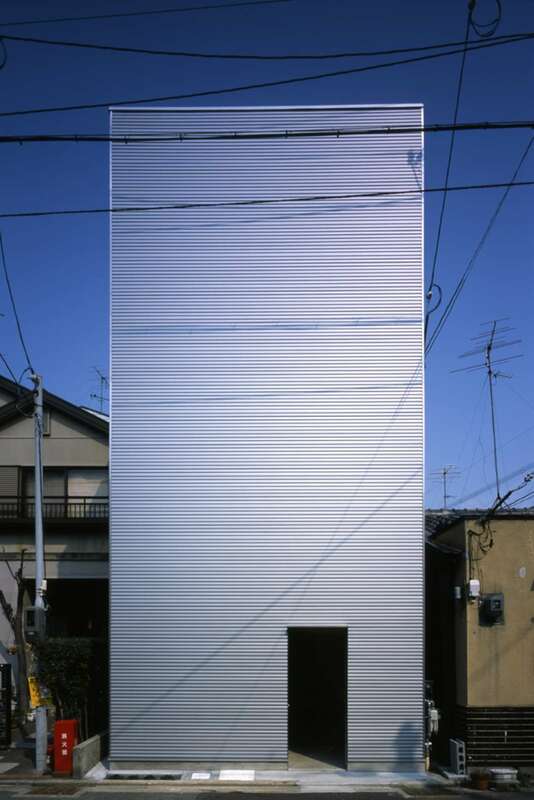 Inspired by Phaidon’s excellent book Jutaku: Japanese Houses, the following collection of urban residences utilize dramatic concealment to maintain privacy and mitigate street noise. 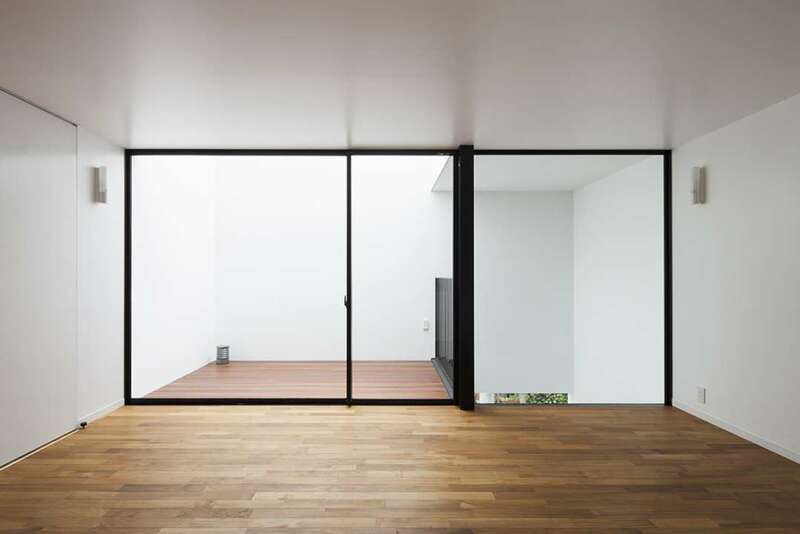 The lack of public-facing windows makes a bold visual statement, one that evokes the feeling of secrecy or disguise. 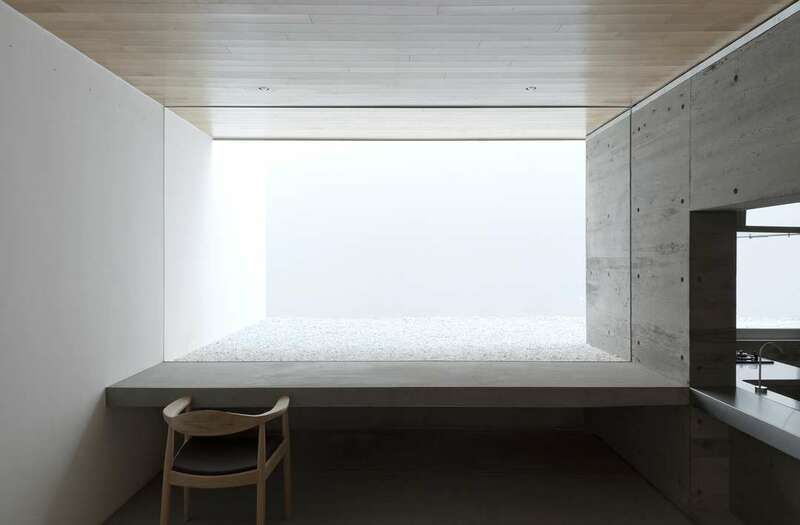 Uninterrupted by open windows and doors, the seemingly concealed house debunks the viewer’s expectations of the home as a place to feel welcome and comfortable. 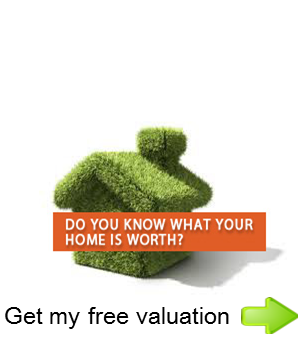 Once we step inside the home, however, the private space feels open and well lit. 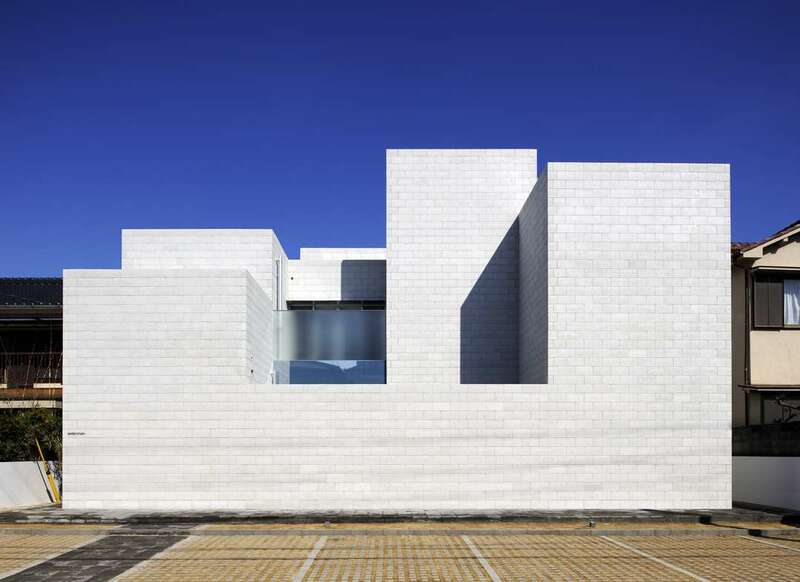 Windows facing an inner courtyard, the southern posterior, or up to the sky, illuminate and ventilate the interior spaces. 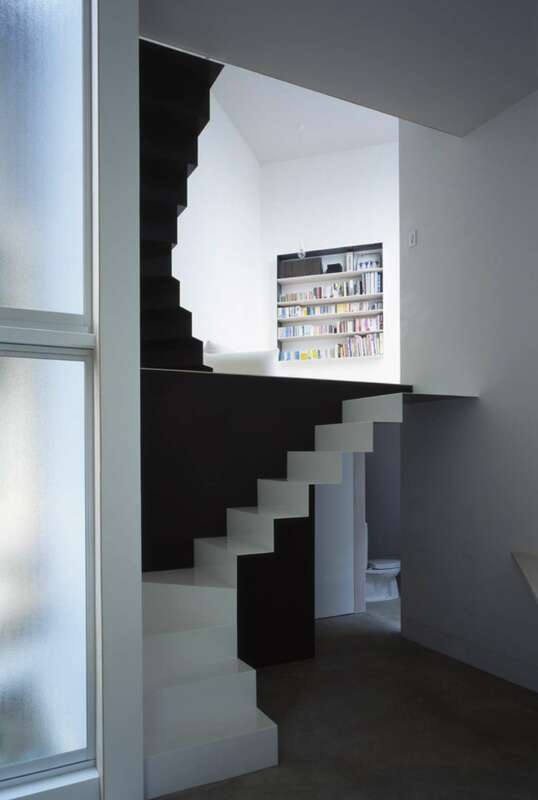 The residents are able to enjoy a quiet, light-filled home in the middle of a dense urban environment without compromising their privacy — or hearing the neighbors’ every move. 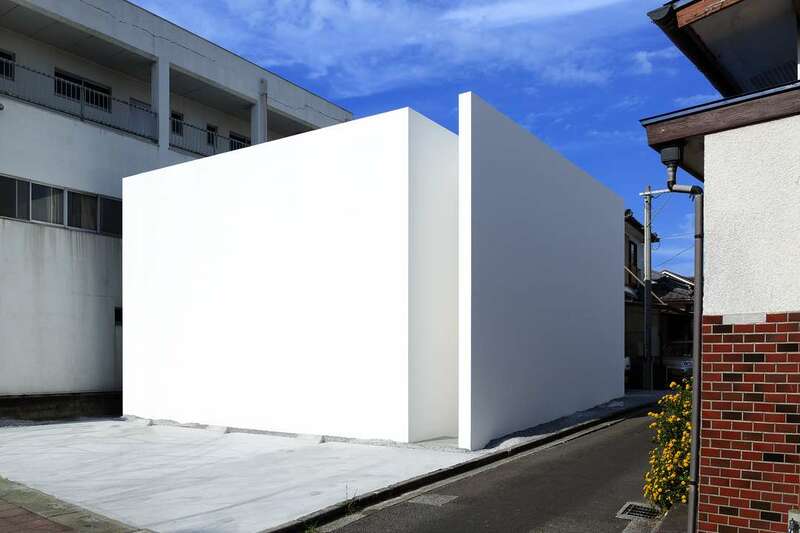 Located in southern Japan, this family home is wrapped in a white façade that blocks out the street noise. 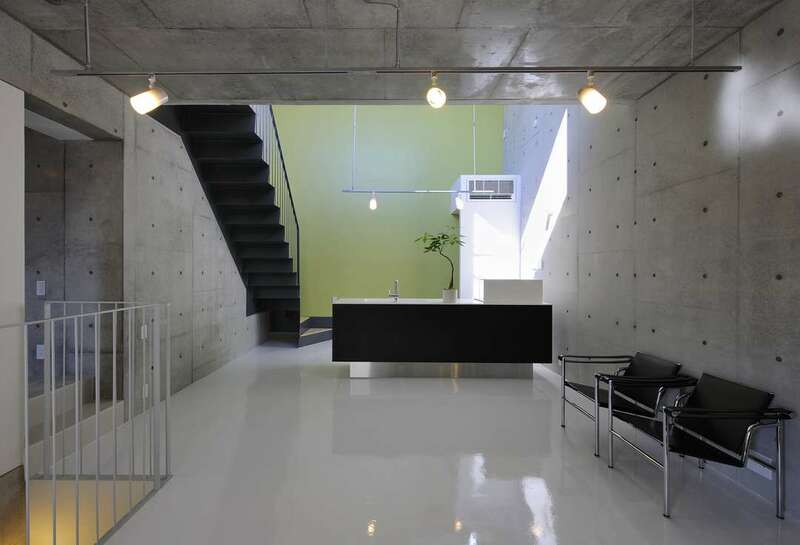 Natural light pours into the home through the central courtyard and bounces off the bright walls. 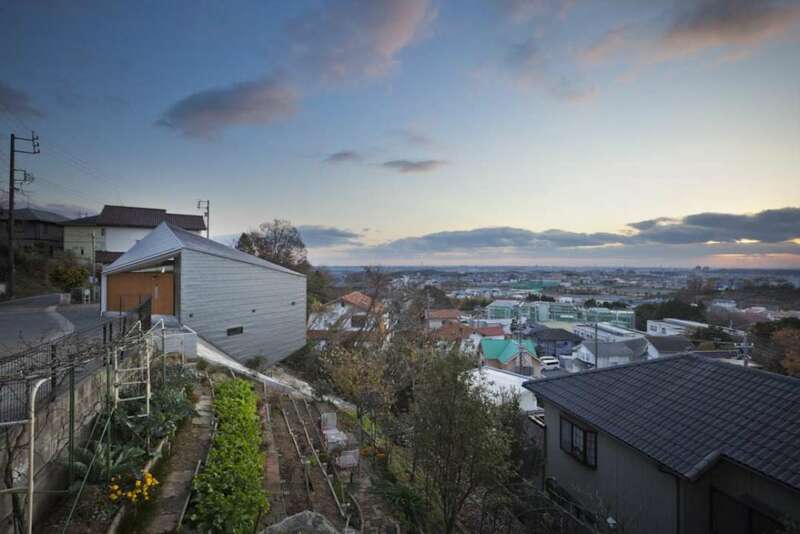 Set on a steep slope, the “K House” opens up at the back with a view of the city below. 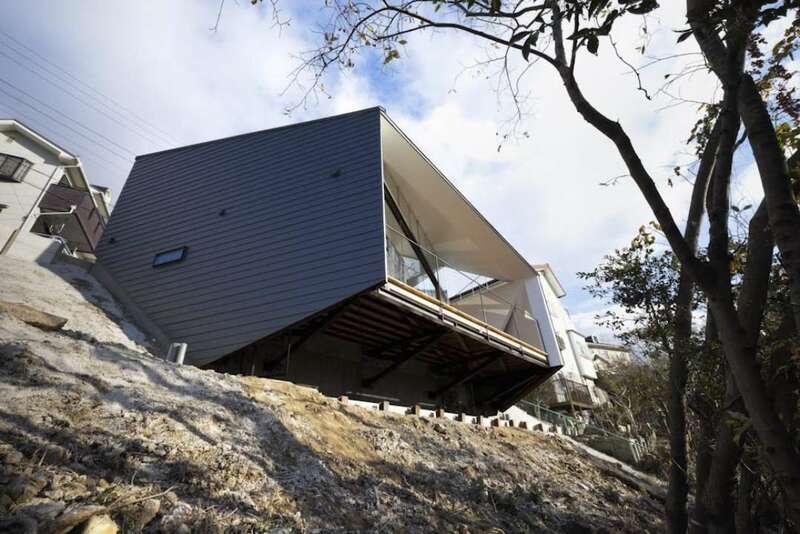 The house wraps around the cliff, taking up very little space next to the busy road. 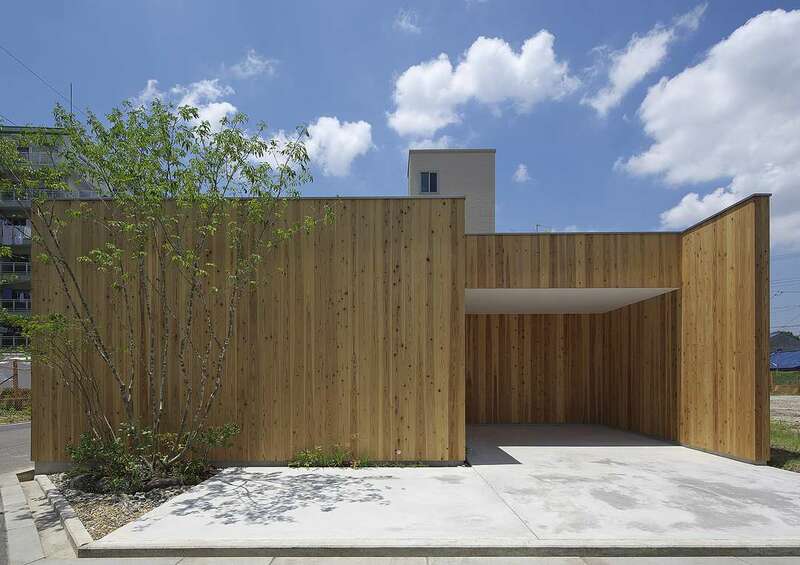 Lit by the inner courtyard, this three-family home appears almost completely sealed off from the outside. 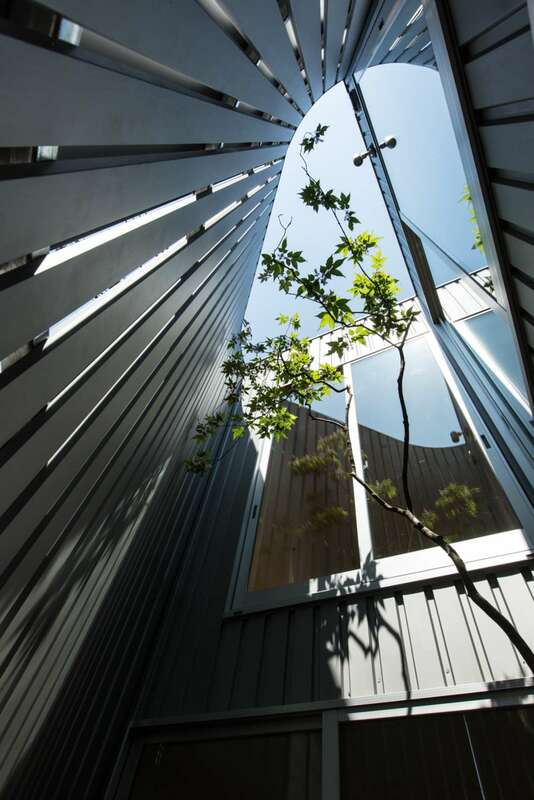 The residents each enjoy their own inner courtyard and share a communal garden space. 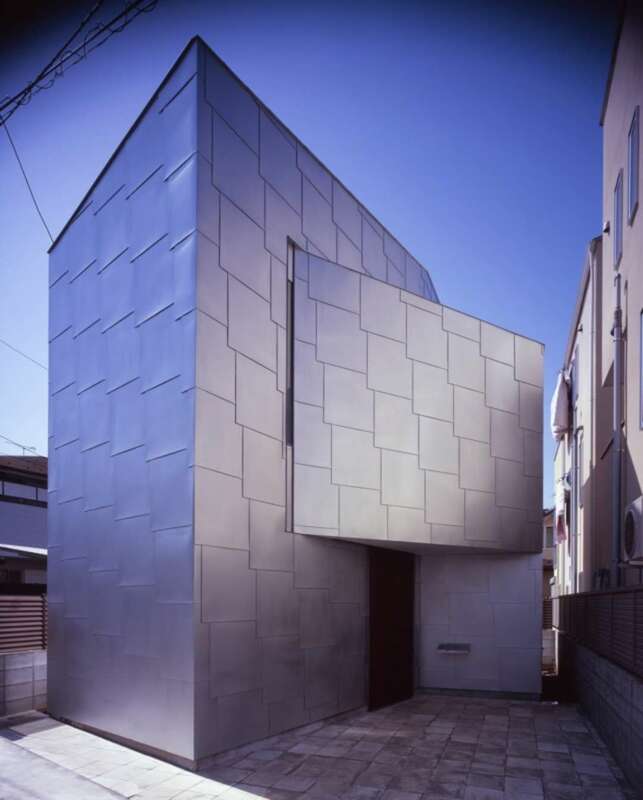 The concealed street-facing façade of the “Long Window House” is offset by the windows on its southern-facing side. 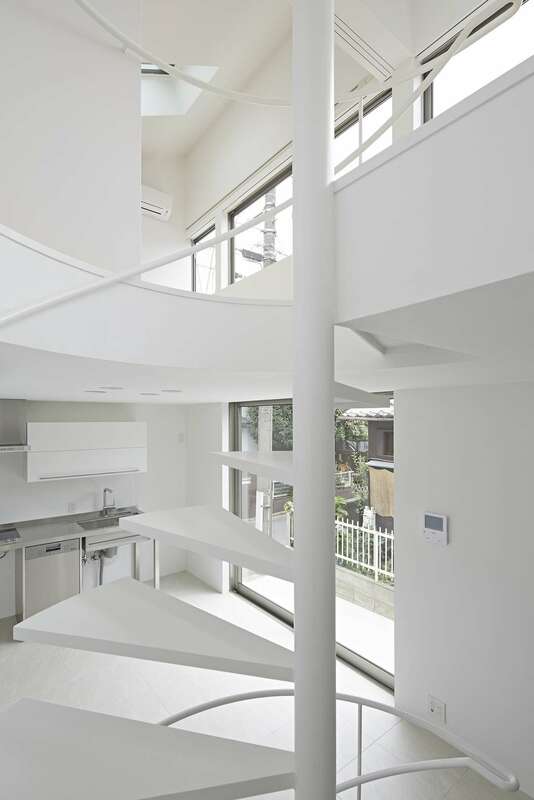 The white walls absorb and reflect sunrays, making this closed-off home feel airy and open once the user steps inside. 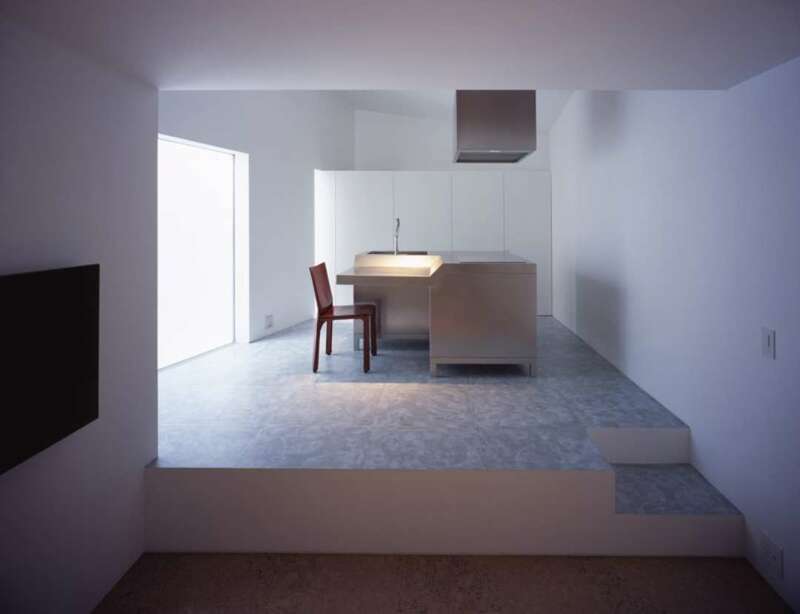 In Kyoto, the old Japanese capital, this concealed home design includes inner-facing windows that light up the interior. 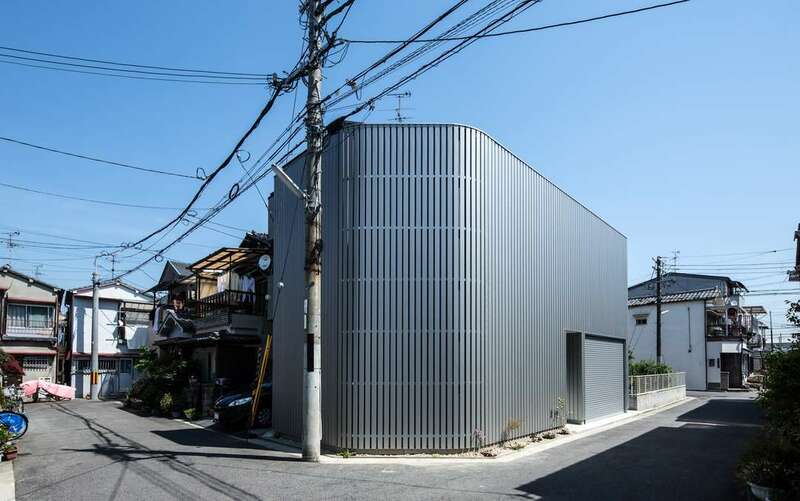 Built without street-facing windows, this elegant home opens up only on the inside. 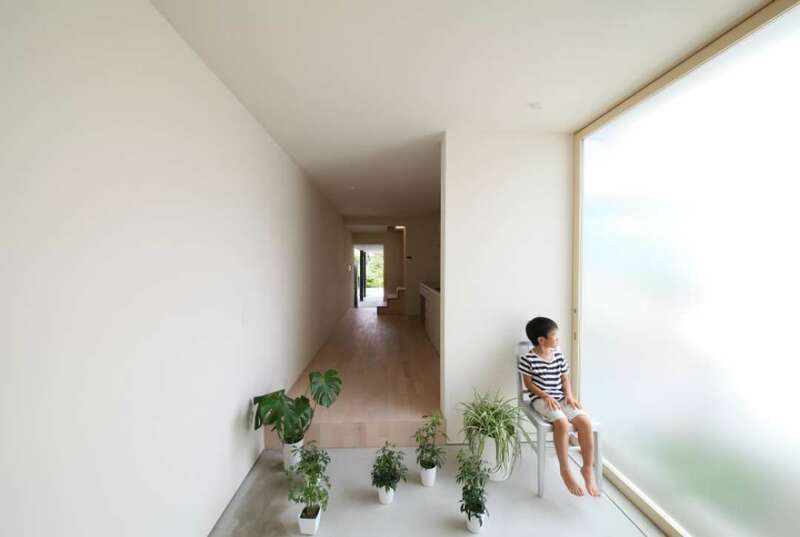 Internal windows offer a view of the S-shaped garden that runs around the entire house, adding a bit of greenery to the urban home. 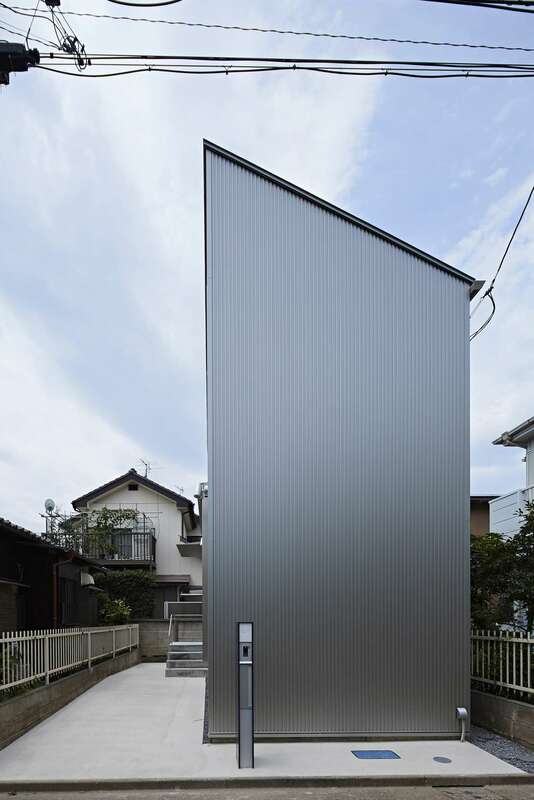 Built on a triangular plot, this concealed façade is punctuated by vertical slits that let in light but maintain the residents’ privacy. 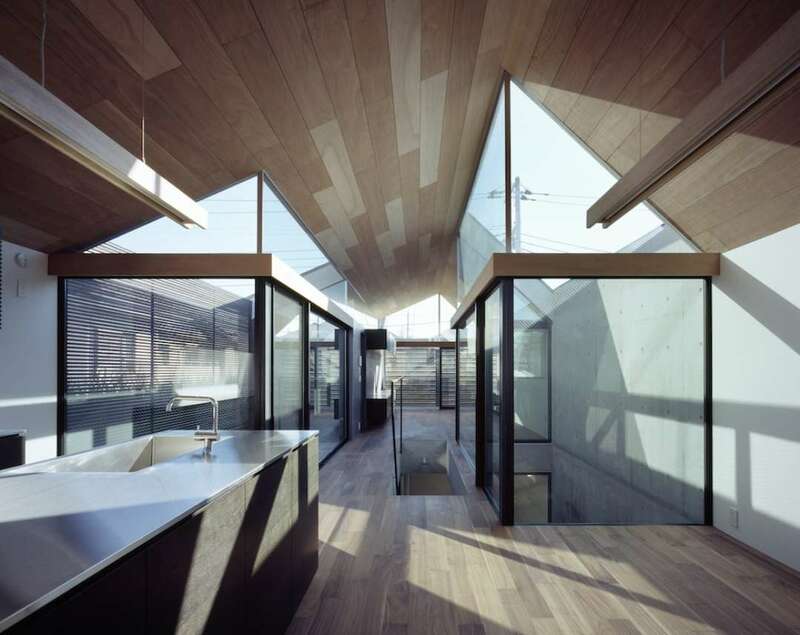 Large, open windows take advantage of the light in the courtyard. 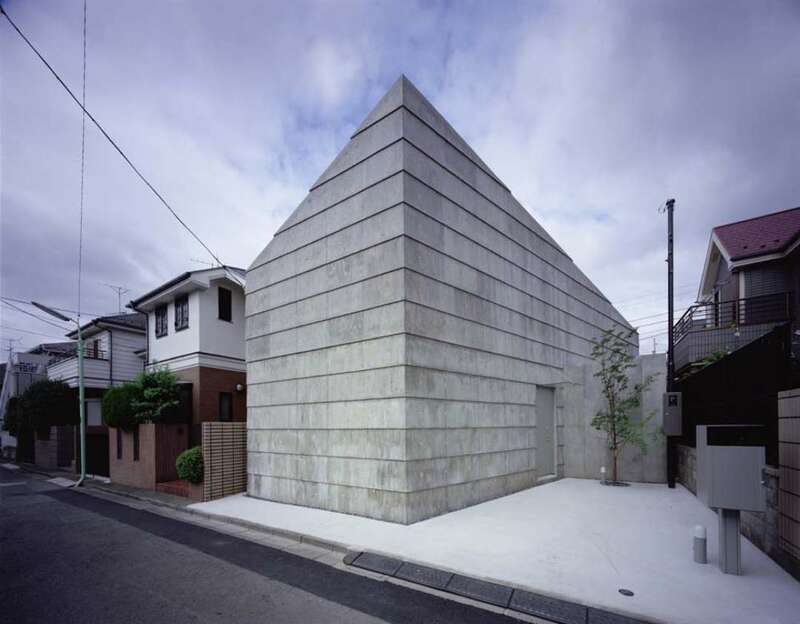 Built on a narrow strip of land, the white façade denies the public any view of the goings on of the family inside. 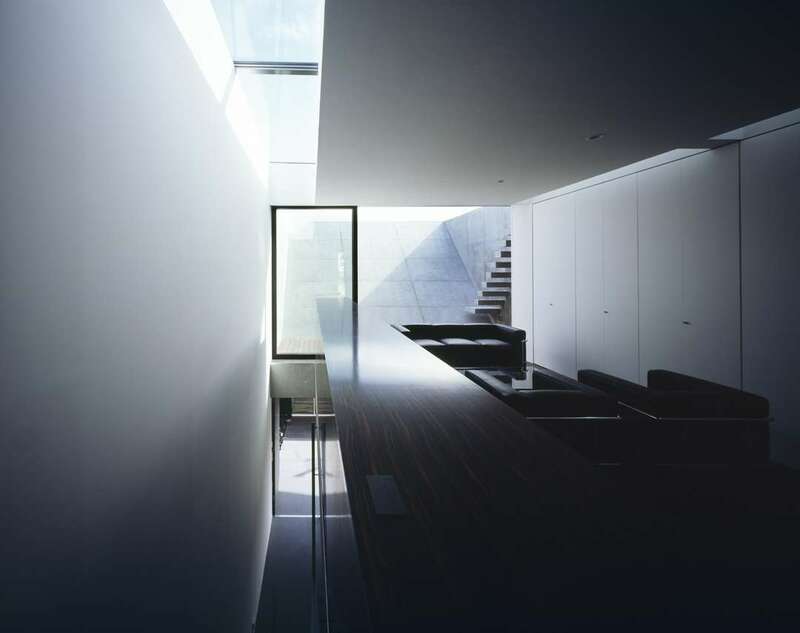 Internal windows let in light absorbed by the white interior. 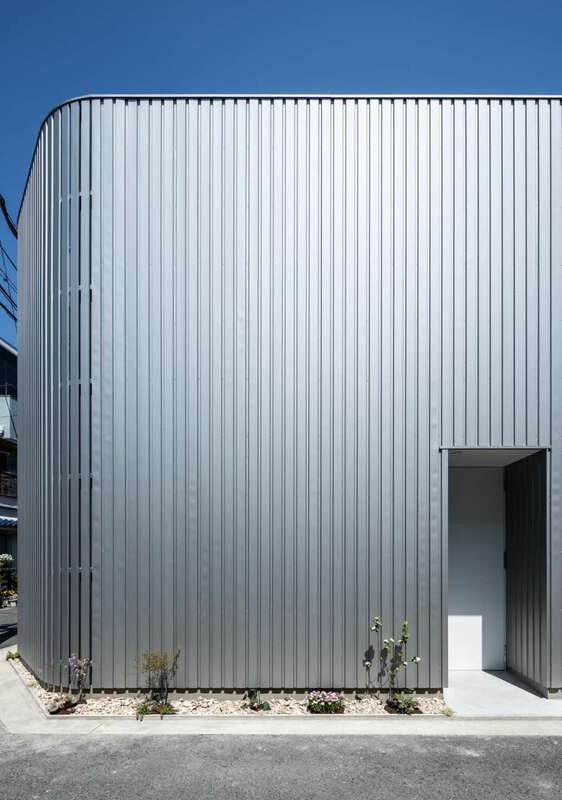 Covered in metal cladding, light and air enter this Toyko home only through internal windows. 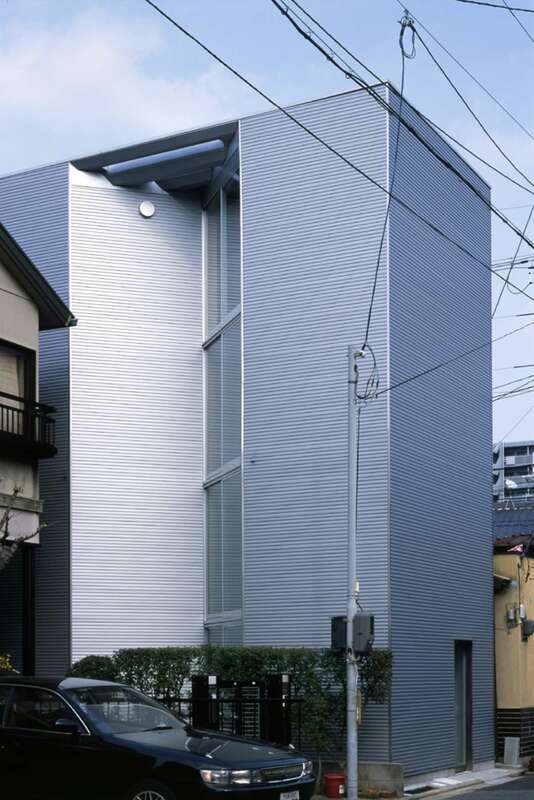 In the heart of Tokyo, this urban home is protected from busy street life. 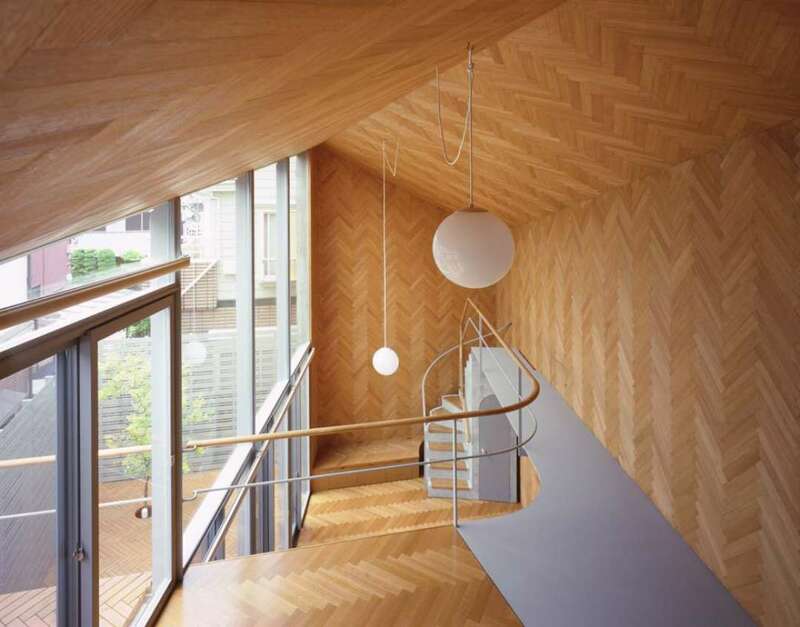 Interior windows allow air to circulate and light to pour inside. 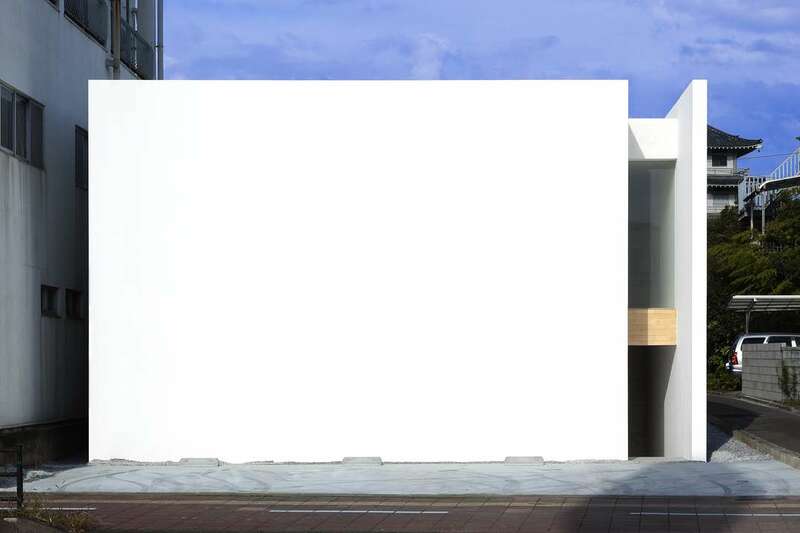 Defined by its rounded, white façade, the “House for Green, Breeze, and Light” opens at the bottom of a long slit. 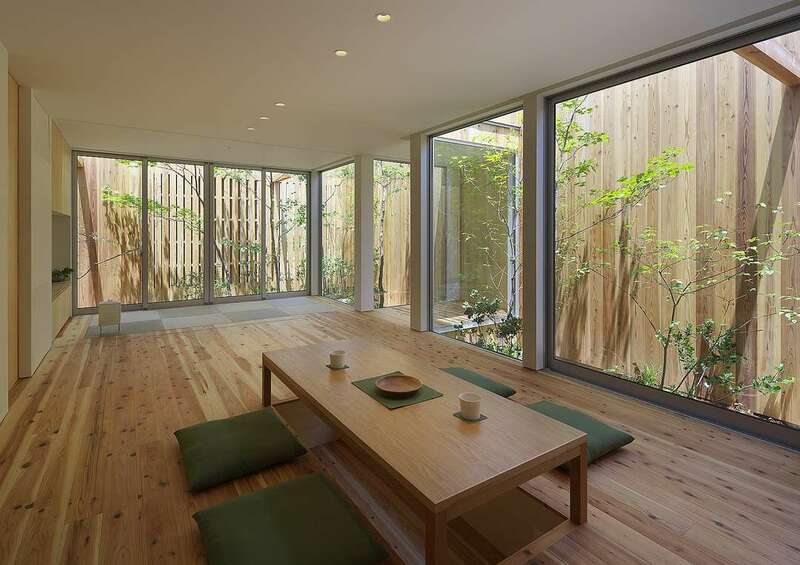 Interior glass walls let in natural light and offer a beautiful view of the garden. 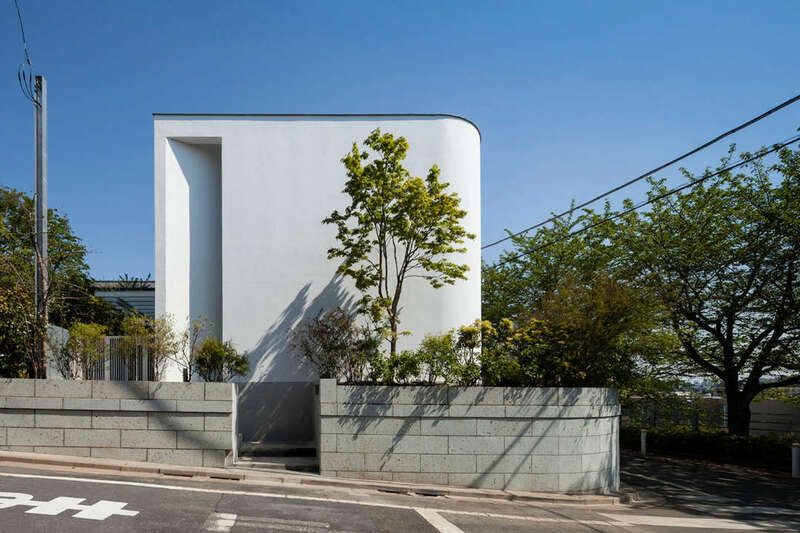 The ‘FLOW’ house’s striking slanted second story immediately catches the viewer’s eye. 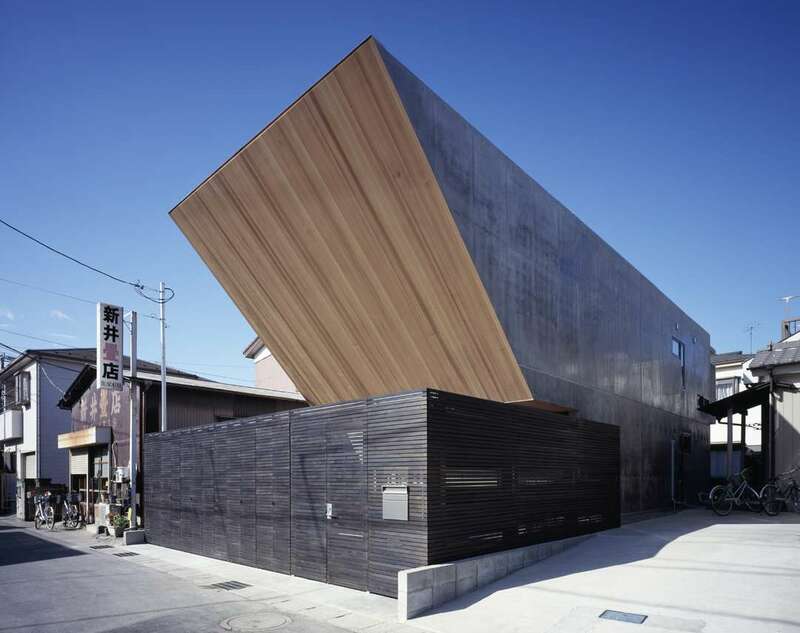 Its dramatic shape lightens the concrete structure, filled with skylights on its southern façade. 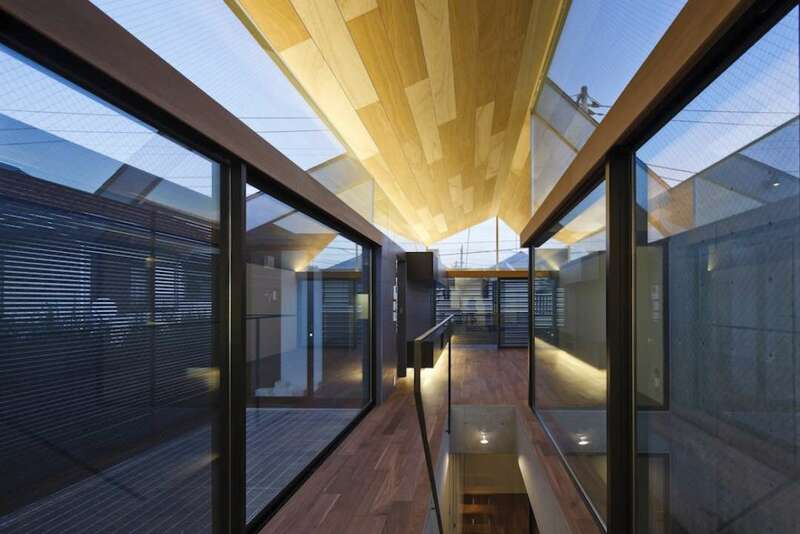 Glass-covered corridors and skylights allow light to pour into this elegant, modern home. 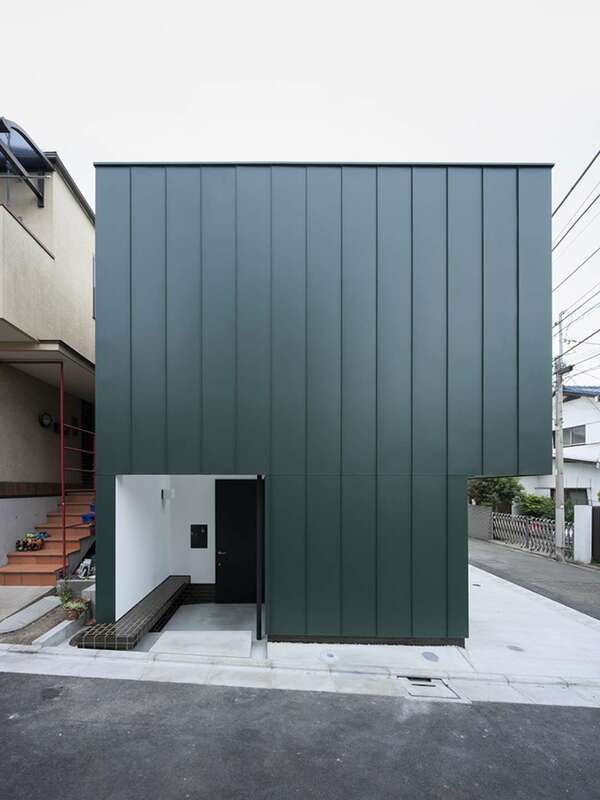 Its street-facing façade appears completely closed off, as if it were a storage space instead of a house. 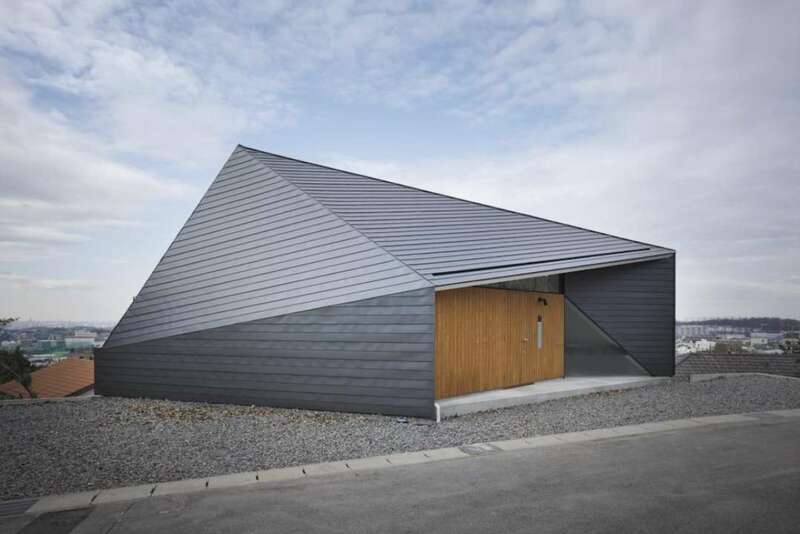 The contrast from exterior to interior makes the design all the more fascinating. 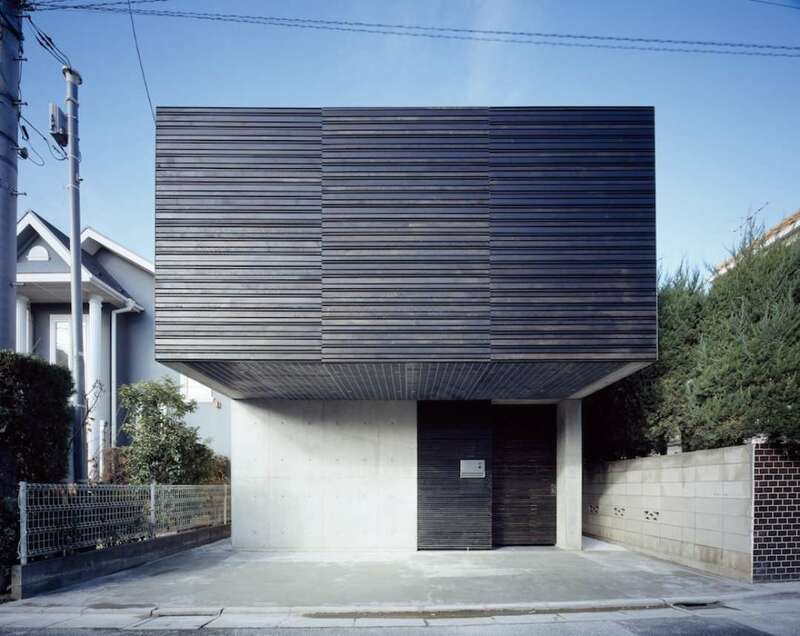 The cold, gray façade of this concealed home is offset by the warm, inviting wooden finish inside. 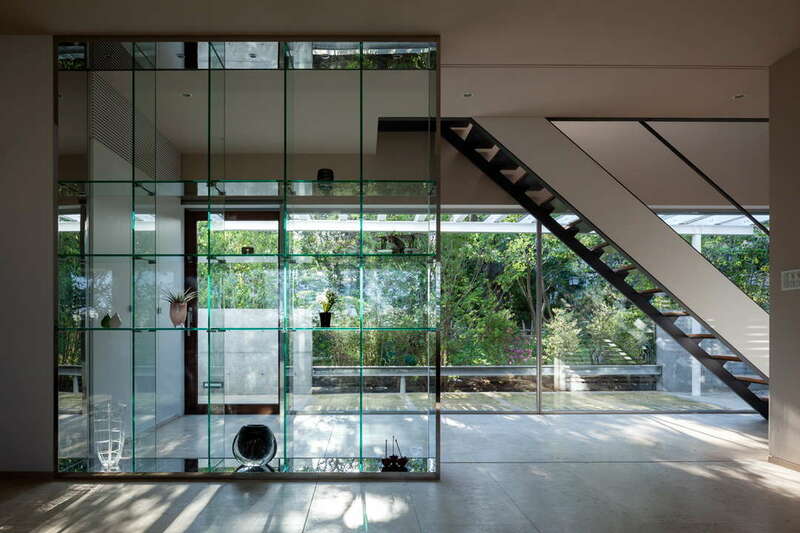 The back of the home’s glass walls allow light to pour in during the day, and reflect the hanging lighting at night.